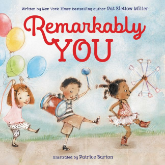 Austin SCBWI is excited to introduce a fun and bookish opportunity for librarians, parents and children — including PRIZES! • Libraries and readers can win prizes! 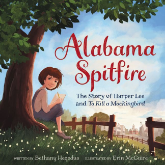 The inspiring true story of Harper Lee, the girl who grew up to write To Kill a Mockingbird, America’s favorite novel. Read and find the answer to this question: What was the name of Nelle’s best friend and what did they like to do together as kids? Adelaide tries to persuade her teacher that her reading buddy choice isn’t scary, and his bear-like qualities make him perfectly equipped for the job. 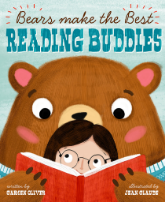 Read and find the answer to this question: Who is Adelaide’s Favorite Reading Buddy? 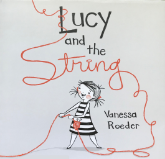 With suspense and humor, this wary and unadventurous book uses the five senses to try and figure out what kind of story might be on its pages. Read and find the answer to this question: What does the book enjoy about the open ocean? Jake and his library book are in a sticky situation in this cumulative tale, an original adaptation of the classic The House That Jack Built. Read and find the answer to this question: What dripped on Jake’s library book? 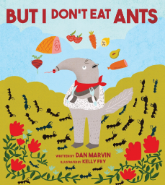 This story is about an anteater who enjoys all kinds of food. But not ants. Read and find the answer to this question: What animal eats anteaters, but isn’t called an anteater-eater? Read and find the answer to this question: What did Lucy knit to fix Hank’s problem? This is a bold and uplifting love letter to all the things-big or small-that make us who we are. Read and find the answer to this question: The children “find what needs fixing.” What did they fix? 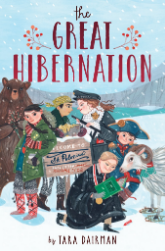 A Texas-themed retelling of the classic Nutcracker story where the Rattlesnake King attacks and the Bluebonnet Fairy invites the hero to a fabulous celebration. Read and find the answer to this question: What did Centennia use to kill the Rattlesnake King? 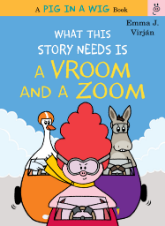 Read and find the answer to this question: Which character helps pig in a wig by removing mud from her racing goggles? 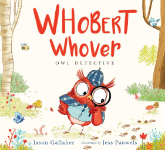 Help Whobert Whover, Owl Detective find out just what happened to Perry the Possum in this hilarious who-who-dun-it! Read and find the answer to this question: What does Becky the beaver say when Whobert accuses her of doing something to Perry? 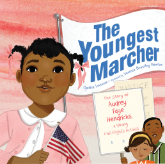 Nine-year-old Audrey intended to go places and do things like everyone else. To do that, she had to go to jail. Read and find the answer to this question: Why did a nine-year-old have to go to jail? 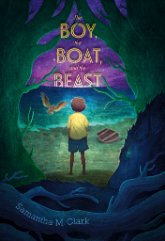 A boy wakes up on a seemingly haunted beach with no memory, just a bully in his head and a beast taunting him. To get home, he must face his biggest fears. Read and find the answer to this question: What does the boy rescue in the tide and then take with him on his journey? 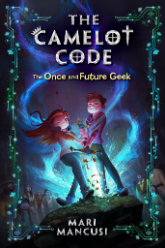 The Sword in the Stone meets Ready Player One in this new epic twist on Arthurian legend, perfect for Percy Jackson fans. Read and find the answer to this question: What did Stu and Sophie have to do to beat the Camelot’s Honor video game? 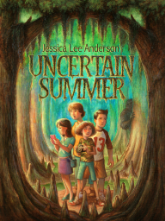 When all of the adults in town mysteriously fall asleep, the kids are left in charge and have to figure out what happened and what they should do about it. Read and find the answer to this question: Which character ended up getting thrown in jail and put on trial by Magnus? 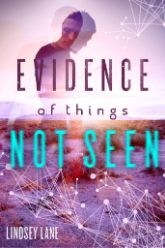 Everdil Jackson is determined to prove that Bigfoot lives in the woods of East Texas to win a million dollars, but tracking a monster is trickier than expected! Read and find the answer to this question: How does Everdil plan on proving Bigfoot is real? 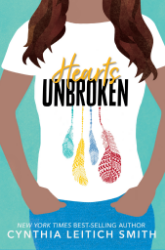 When the lives of a girl with a broken heart and a girl with a “borrowed” heart collide, each needs to rely on the other – first for hope, and then survival. 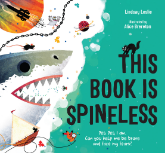 Read and find the answer to this question: What is the special event that Linnea is hired to cater at the end of the novel? When high school junior Tommy Smythe goes missing, everyone has a theory about what happened to him. Read and find the answer to this question: Who was the girl that rode on the back of Tommy’s motorbike? A Native American teen journalist in the middle-class suburbs covers the controversy around the diverse and inclusive casting of her high school musical. Read and find the answer to this question: Does the protagonist’s little brother perform the role of The Tin Man? 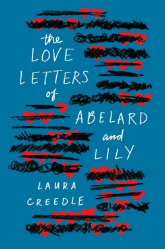 When Lily ditches her ADHD meds and lands in detention with Abelard, who is autistic, they connect. But is it enough to bridge their differences in person? Read and find the answer to this question: What is Abelard’s hobby? 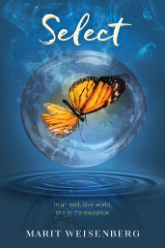 Modern-day Romeo and Juliet with a supernatural twist, Julia searches for identity and love outside her exclusive, secretive circle of highly-evolved humans. Read and find the answer to this question: Where does Julia Jaynes first reveal her abilities in public? Click here to download a printable poster with all the books. Want to request a printed poster? Click here to email coordinator Meredith Davis. 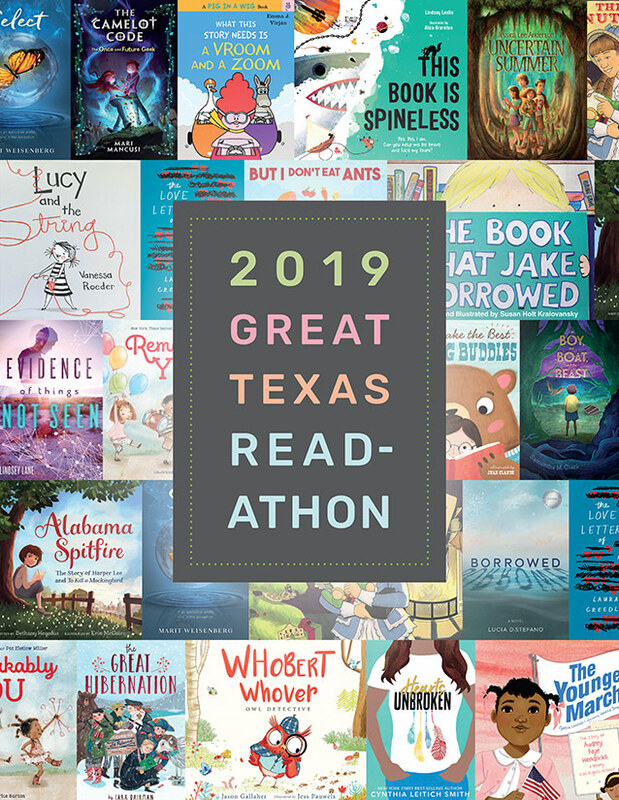 Thank you to Austin illustrator Kyle McBride for designing Austin SCBWI’s 2019 Great Texas Readathon poster. To fill out the entry form below, place your cursor in the space below the question. After the first answer, you can also use your TAB button to move through the form. If you answered YES above, you must have permission from and/or participate in the Readathon with the help of your parent or guardian. To confirm, check the box below. My parent or guardian has given me permission and/or is helping me enter this giveaway. Question: What was the name of Nelle’s best friend and what did they like to do together as kids? Question: Who is Adelaide’s Favorite Reading Buddy? 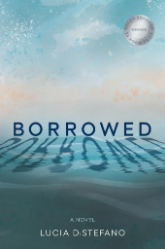 Question: What does the book enjoy about the open ocean? Question: What dripped on Jake’s library book? Question: What animal eats anteaters, but isn’t called an anteater-eater? Question: What did Lucy knit to fix Hank’s problem? Question: The children “find what needs fixing.” What did they fix? Question: What did Centennia use to kill the Rattlesnake King? Question: Which character helps pig in a wig by removing mud from her racing goggles? Question: What does Becky the beaver say when Whobert accuses her of doing something to Perry? Question: Why did a nine-year-old have to go to jail? Question: What does the boy rescue in the tide and then take with him on his journey? Question: What did Stu and Sophie have to do to beat the Camelot’s Honor video game? Question: Which character ended up getting thrown in jail and put on trial by Magnus? Question: How does Everdil plan on proving Bigfoot is real? Question: What is the special event that Linnea is hired to cater at the end of the novel? Question: Who was the girl that rode on the back of Tommy’s motorbike? Question: Does the protagonist’s little brother perform the role of The Tin Man? Question: What is Abelard’s hobby? Question: Where does Julia Jaynes first reveal her abilities in public? Finally, let us know you're human by completing the title of the book below, from the titles in the Readathon. Place your cursor in the space after the ... and type the last word of the title. That's it! Thank you for entering our Readathon. We hope you enjoyed reading these books by local Austin authors. Good luck!